Parenting is the biggest learning curve I’ve ever been on. No sooner do you learn how to handle weaning or walking with a “whoop, we’ve nailed it!” (high fives) you’re greeted by the next frontier. A new conundrum floors you and you’re cheated out of the few moments of being a smug parent. Yes my friends, I’m talking about toddlers learning to say no. I battled, reasoned and stood my ground for a while. You’re not supposed to give in, right? But, errr, we needed an activity and this was it. Plus I fancied a cookie. Every day’s a school day – I’m learning to pick my battles with the pair of them. 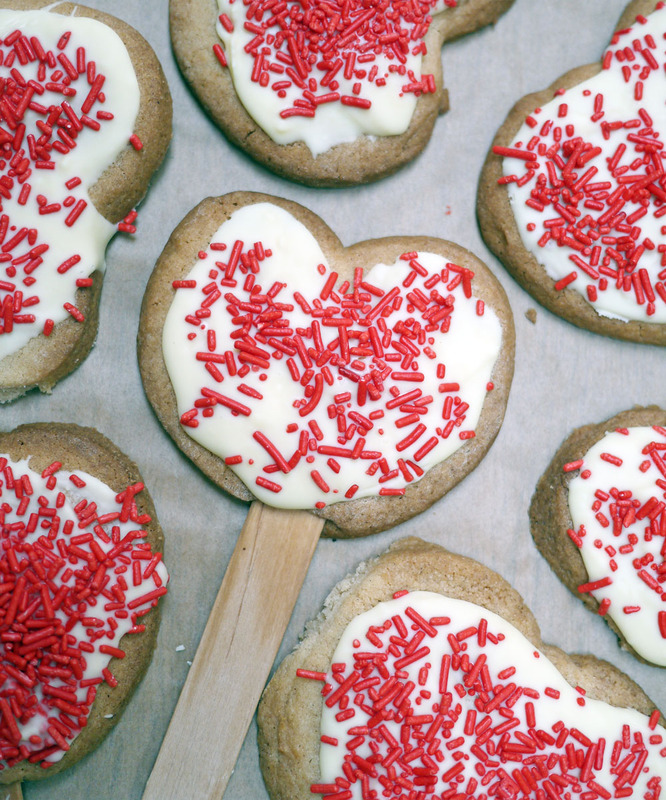 Hence, what follows is toddler twins cooking Valentine’s Cookie Pops… Sans aprons. A fun craft activity with kids for valentines day. 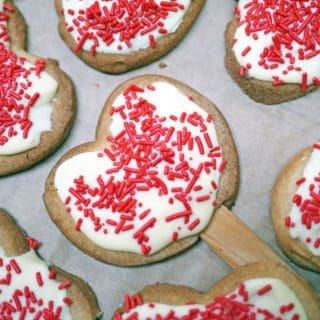 Great cookies on sticks. Beat the butter and sugar together until they are a smooth mixture. Beat in the egg and cinnamon. 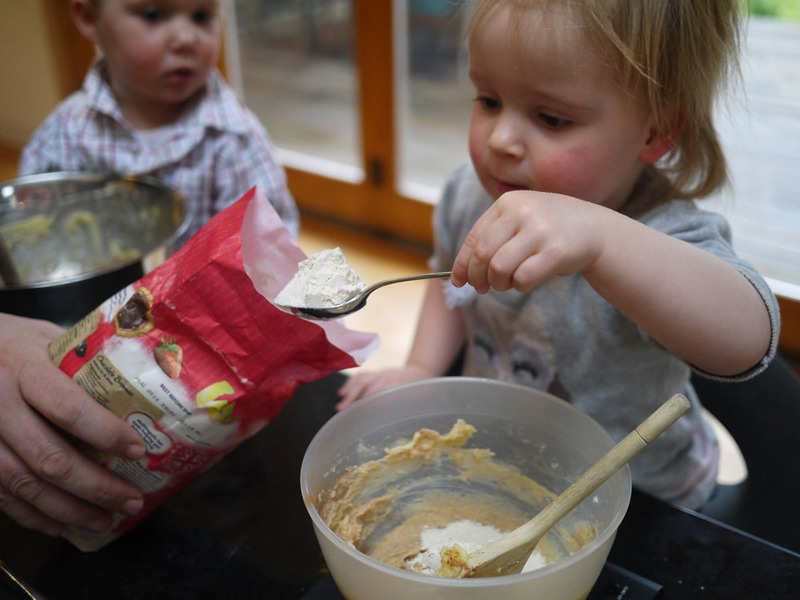 Add the plain flour and mix in using a spoon first and then your hands until the mixture forms a ball of dough. Roll out, leaving quite this (about 1cm) using extra flour if the dough is sticky. Cut out your shapes and push a lolly stick into the centre of each one. Put on a lined baking sheet and bake for about 10-15 minutes. 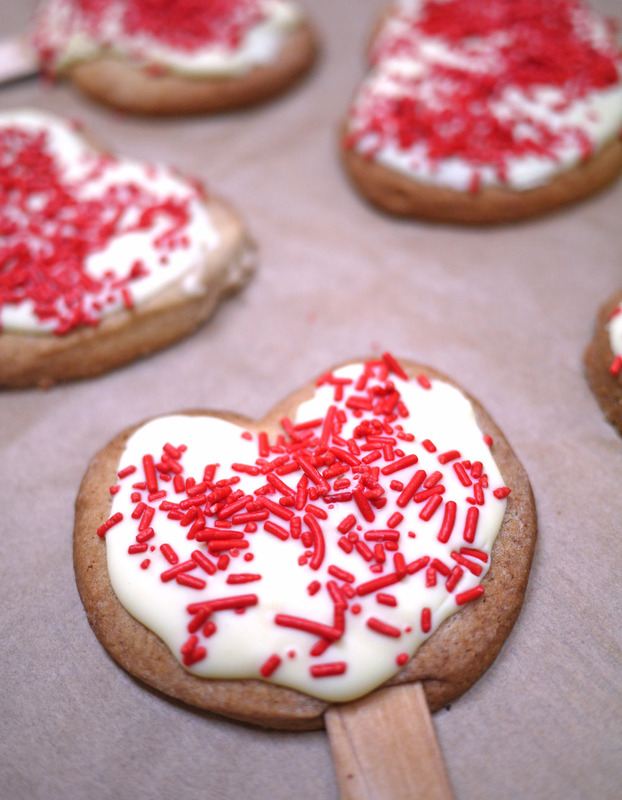 To decorate, melt your white chocolate and spoon over the cooled cookies. I’m off to M&S in a minute to buy us a Valentine’s Meal for 2. Yes, we’re pushing the boat right out this year. 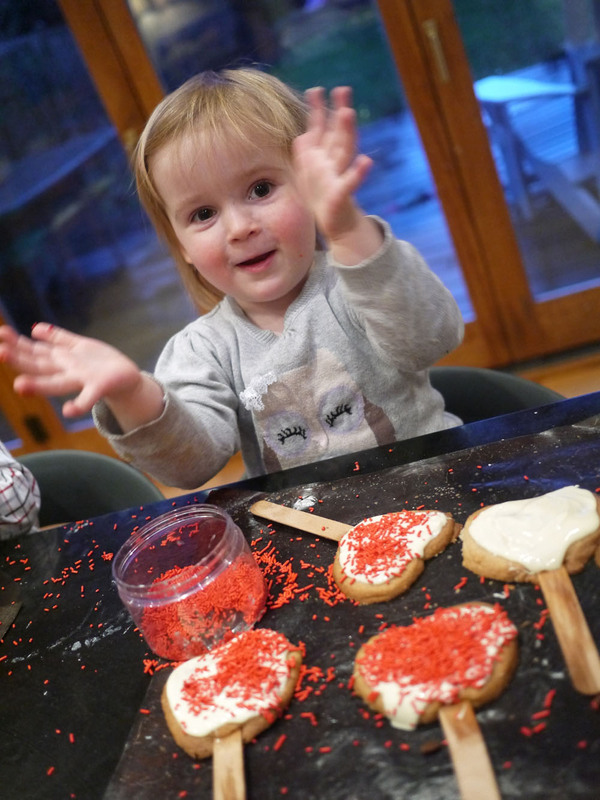 Who needs grand romantic gestures when you have a slightly nibbled, heart shaped cookie made by your toddler? How are you celebrating? Cooking up something special? 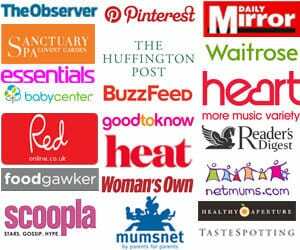 A child-free evening? Whatever you’re up to, happy Valentine’s day my friends. Ah yes, I’m familiar with picking battles! 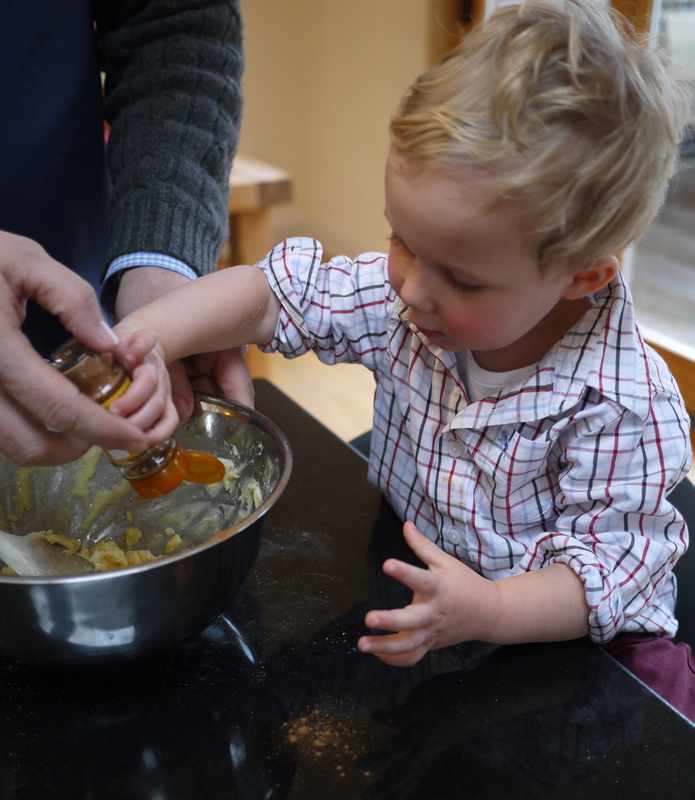 I’ve just started cooking with my 2.5 year old – and completely forgot any kind of apron for him. So I missed that opportunity to even try and make him wear one! 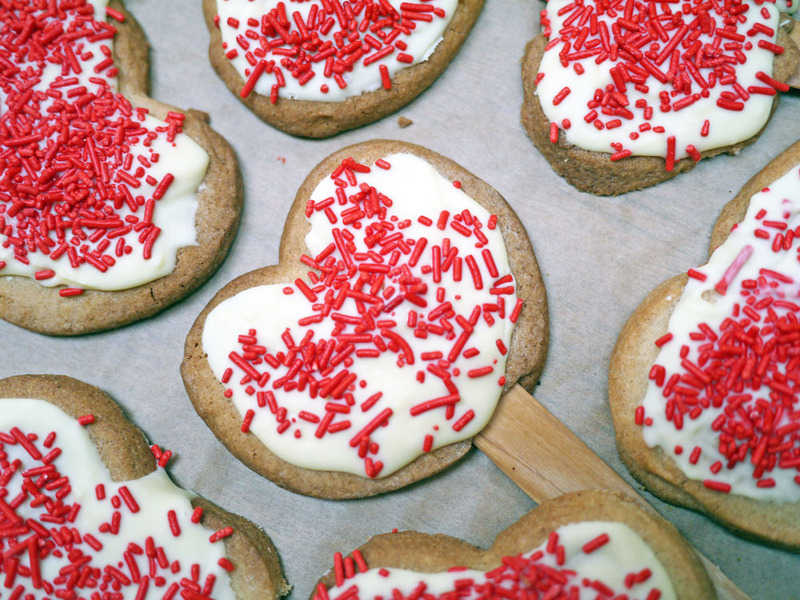 Those look lovely, I bet my kids would love to make biscuits on lolly sticks, what a great idea. 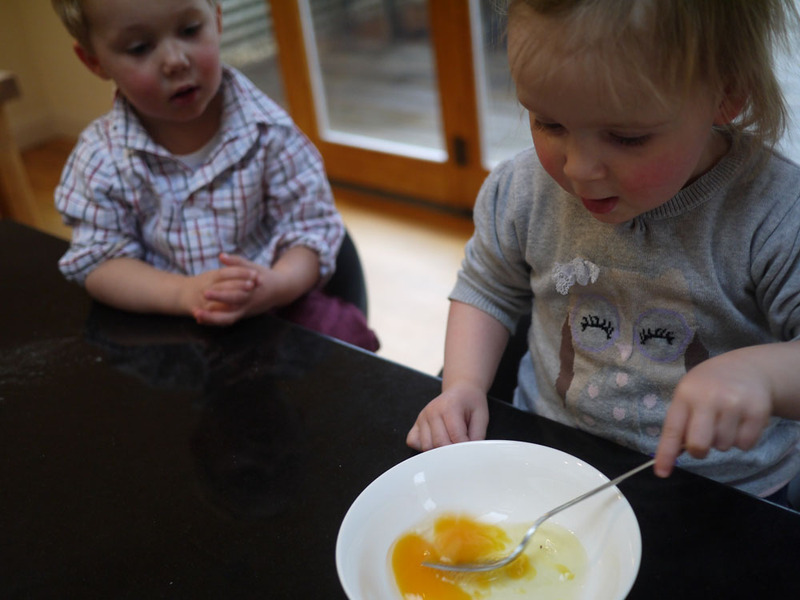 I’d love it if you would consider linking your post to my Kids in the Kitchen. These look such fun and very easy to make too. Aww! Looks like they had a great time!! 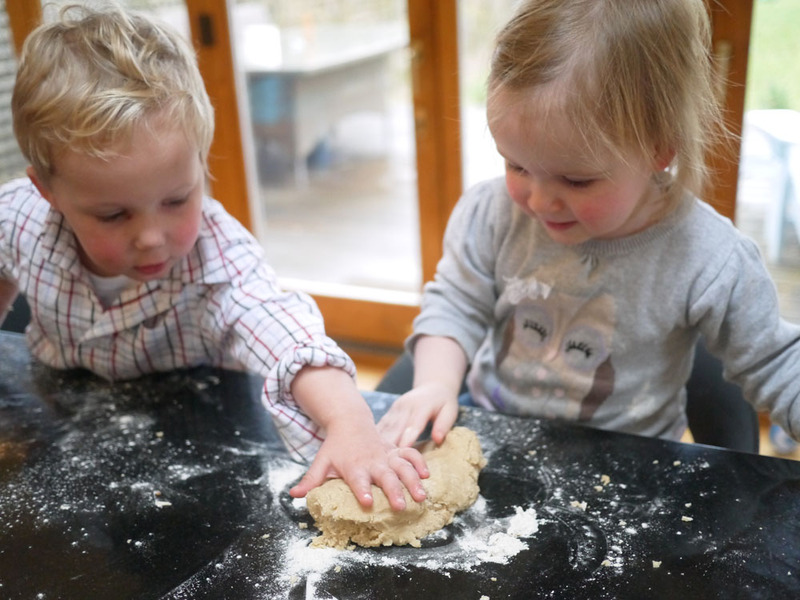 The cookies look yummy and they look like they had a lot of fun! 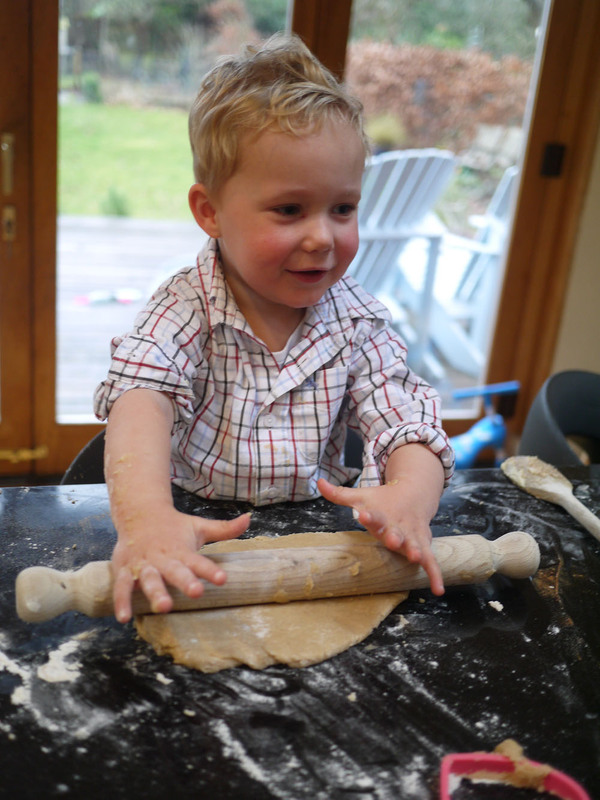 I remember this phase so well and sans apron is definitely a look Little Z would probably want to sport too (and then wipe floury hands all over himself). 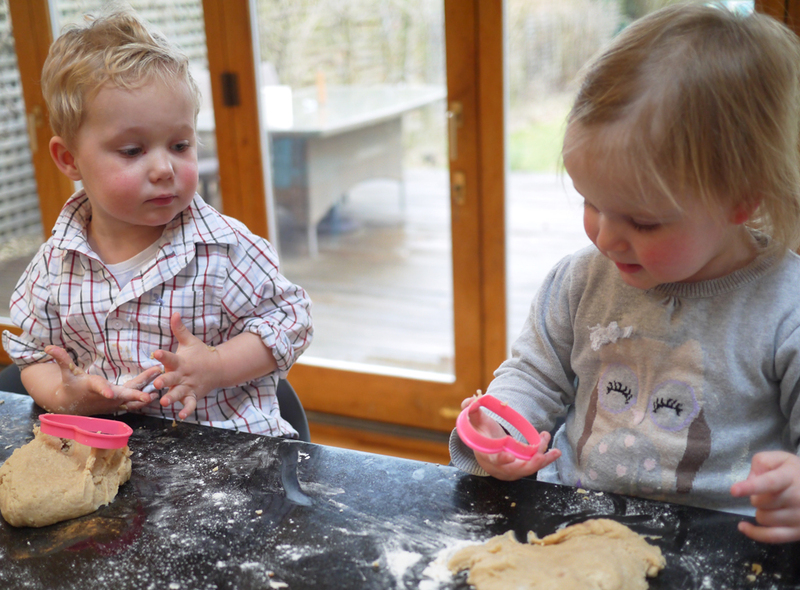 Best are ever 🙂 they look so cute in their little baking session! Hi, can’t believe they did this and they’re not two yet. How do you stop them eating everything? 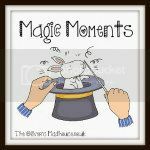 Over from Oliver’s Madhouse linkup. Looks like they didn’t need aprons, they didn’t make that much mess. These look lush and although they didnt wear the dreaded aprons it looks like they had a super time too!